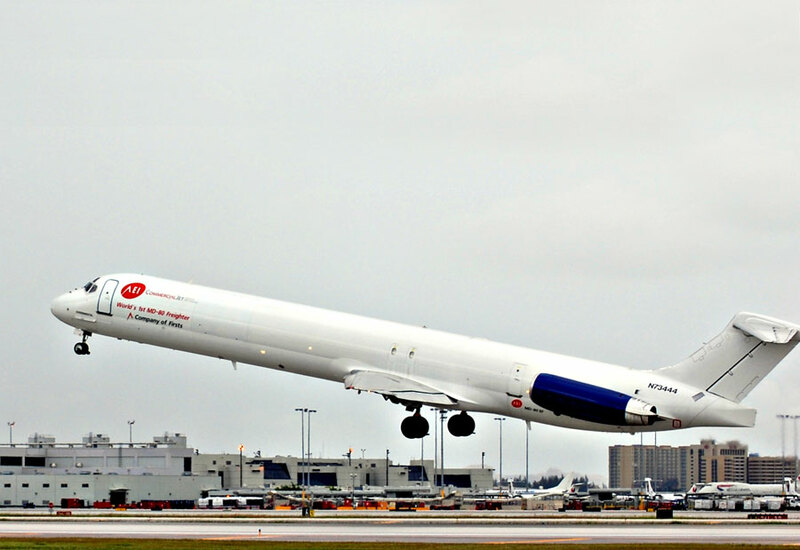 First MD-80 Freighter Set To Fly in U.S.
Miami, Florida-based Aeronautical Engineers (AEI) received the world’s first supplemental type certificate (STC) from the U.S. Federal Aviation Administration for the MD-80SF passenger-to-freighter conversion, the company announced last week. The STC allows for conversions of the passenger-configured MD-81, MD-82, MD-83 and MD-88, of which McDonnell Douglas built 779 during their 20-year production run. The prototype aircraft, an MD-82SF (MSN 49470) built in 1987, underwent modification at AEI’s authorized conversion center, Commercial Jet, in Miami. AEI now carries a commitment backlog of 20 of the airplanes and forecasts a market for well over 100 MD-80SF conversions over the next 10 years. Launch customer Everts Air of Fairbanks, Alaska, plans to take the first airplane, a former American Airlines MD-82, on or about March 1, AEI v-p of sales and marketing Robert Convey told AIN. Operating airplane types ranging in size from a Piper Lance to a McDonnell Douglas DC-9, Everts plans to use its MD-80 in the lower 48 states of the U.S. In fact, two more customers for the new conversion operate in the U.S., said Convey, while others hail from Mexico, Uruguay, Ecuador, Kenya, South Africa, Spain and Indonesia. Convey explained that the only true competitor in the narrowbody cargo market–the slightly smaller Boeing 737-400–burns roughly 12 percent less fuel. However, he noted, the cost of ownership of the McDonnell Douglas product for low-utilization, unidirectional cargo operators, whose airplanes usually sit idle until pressed into service at the end of the daily manufacturing cycle, beats that of the Boeing by a substantial margin. A 737-400 typically costs between $3.25 million and $4 million, while MD-80s sell for $750,000 to $800,000. A 737-400 conversion, which AEI also offers, itself costs $2.7 million to $2.8 million, compared with $2.35 million for the MD-82 it just finished. Meanwhile, Convey said, maintenance costs run considerably less for the MD-80. All told, an operator can acquire an MD-80 freighter for less than $4 million, compared with $8 million to $9 million for a 737-400. Although unaltered, the MD-80 generates slightly more noise than the 737-400, both airplanes meet Stage 3 standards, and G&H Aerospace sells Pratt & Whitney-licensed Stage 4 hush kits for the McDonnell Douglas product. No one has yet developed a hush kit for the 737-400. Hi I have four MD80s for sale with fresf gear and "C" Check.